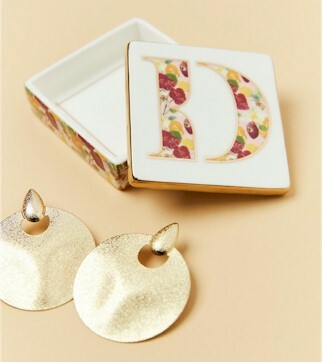 Nordstrom has got this Anthropologie Jewelry/Trinket Box for only $14.00 with free shipping and free returns. 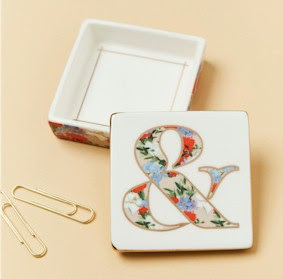 It's comes monogrammed in almost every letter of the alphabet as well as an ampersand (&). 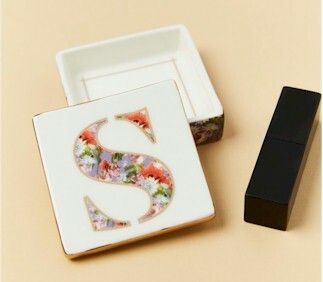 Details: Handpainted details add to the charm of a monogrammed stoneware box that's perfect for storing jewelry, trinkets and more. 2 3/4" x 2 3/4" x 1"